POPULAR LUNCHEON SPOTS FOR 2018! Stay tuned as we confirm even more great food stops for you! CHURCH LUNCHEONS / FOOD & SNACK BREAKS & CAROLERS IN THE STREET, TOO! What’s to eat here: Soup, Sandwiches, Desserts. Also: Crafts & Bake Table. Lunch: $10. 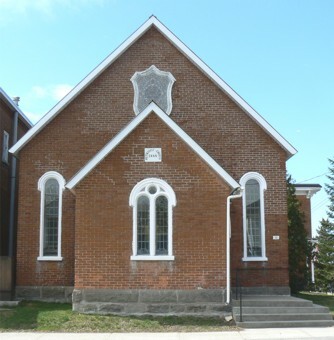 At: Knox Presbyterian Church Hall, 29 High Street, 11 a.m. to 1:30 p.m. Info. : 613-678-2626. What’s to eat here: Soup, sandwiches, dessert. All home-made! $10 per person. For group reservations, call 613-678-3404. At: Trinity United Church, 14 Mill Street. Ham & Salad Luncheon! Home-made dessert included. It’s a favourite at Trinity United Church. Plus: Bake Table & Craft Sale. 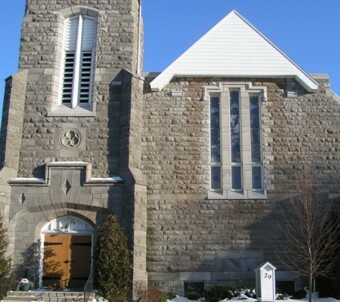 Trinity United Church, 14 Mill Street (church is located on corner of Mill and High Streets), church hall is at 14 Mill Street. At: 122 Bond Street, where Saint-Grégoire Church welcomes you to the Golden Age Club, (122 Bond Street). 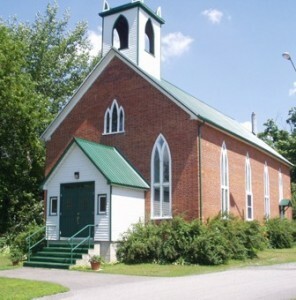 What’s to eat here:Ragoût, a typical French-Canadian meal served by the handsome men of Saint-Grégoire Church! (Includes potatoes, handmade meat balls! While quantities last! Cost: $12 per person, includes dessert. At: Windsor Tavern, 84 Main Street, Vankleek Hill. 613-678-2122. Kitchen open 11 to 4 p.m. on tour day. Enjoy a variety of beers and an interesting menu in this cozy bar/eatery. Curries, fish dishes are chef’s specialties. 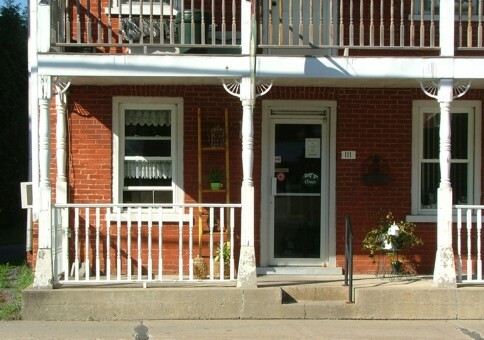 Open early for tour day; usually open at 5 p.m.
Nicko’s Resto-Bar, 17 High Street, Vankleek Hill. 613-678-3132. Salads (ask for the house dressing, it’s yummy! ), soups, pizza, hamburgers, great brochette specials, Italian food and much more! Fast service. Great location for groups, big or small. Louise and Nick Gouskos will extend a warm welcome to visitors! The Trillium Tea Room, 111 Main Street East, Vankleek Hill. THREE SITTINGS: 11:30 a.m.; 1:30 p.m.; 4:00 p.m.
fruit, cheese, choice of entrée, dessert finale and cookies. Tea or coffee. Time per sitting: 50 minutes, in and out. Food is ready to be served when you arrive. RESERVATIONS NECESSARY ON TOUR DAY( $20 plus tax per person). At the end of the day from 4:30 pm to 6 pm the Tea Room is open for you to stop in to relax and have a cup of tea or coffee, scone or dessert, before heading on your way. Tour day specials: TBA soon. This location can accommodate about 35 seated people at once and will exceptionally be using paper plates and compostable cutlery as an option (compostable and worm-friendly of course). Urban cuisine made with local foods for the most part. Everything is good here, but just saying: dare you to try one of their gourmet poutines! Delicious desserts, cakes, pies, pastries. Located in one of our Main Street’s Victorian beauties, this urban-style restaurant in a heritage environment is a popular destination! 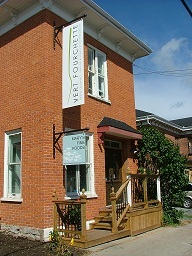 Check out the Decadent Market, a gourmet and fine food shop featuring many local food specialties. Soups, all kinds of wraps, baked goods galore, smoothies, fabulous coffee, treats! Award-winning butter tarts. Baking to take home. And bring some all-natural home-made dog treats home for your pet, too!